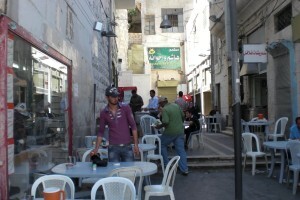 Located in a side alley in downtown Amman, you find the famous, small restaurant Hashem. 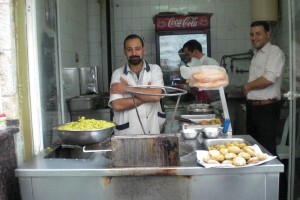 Clients are mostly locals wanting a fresh meal like falafel, hummus, ful, bread and hot sweet mint tea. The food is delicious and the rates are incredible cheap with 1.5 to 3 JOD. 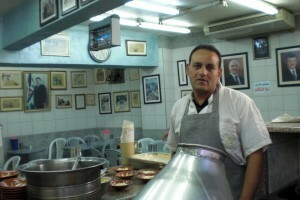 Watch the cooks making falafel and chat with the friendly waiters. Location is at Amir Mohammed Street, for tourists not easy to find, ask the locals for the direction in downtown area.